So, so true. 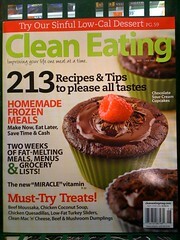 I think I've picked up at least three magazines with cupcakes on the cover this year. I can't even remember the titles anymore, but the pictures looked so good. I bought this magazine before and it was great! love ur blog...n ur cupcakes!